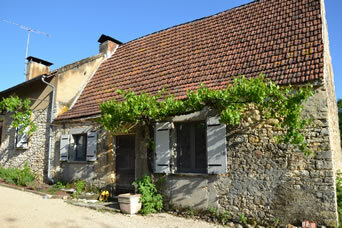 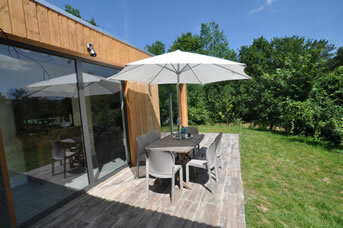 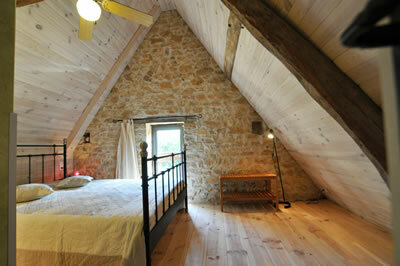 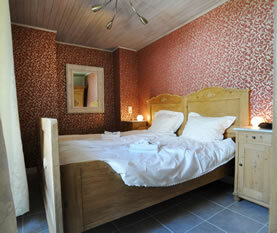 Our Gite le Fournil sleeps 2 to 6 people and has 3 bedrooms and 2 bathrooms. 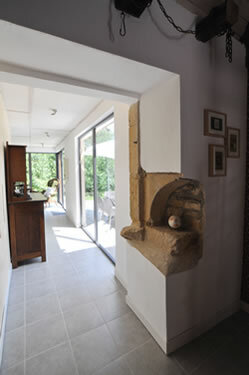 The two storey cottage has open plan living spaces on the ground floor, and is fully renovated with style. 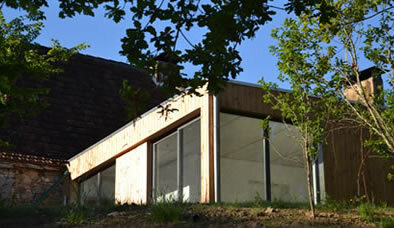 The extension has been designed with ​​with lots of natural light, so that you can enjoy the morning sun. 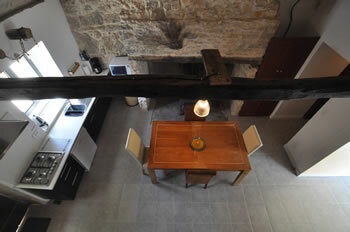 You enter immediately in the spacious kitchen. 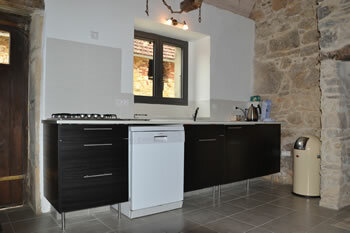 The kitchen is equipped with a fridge, a four ring hob, microwave, dishwasher and a washing machine. 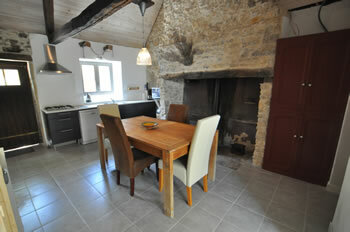 The cottage is fully equipped with central heating for the early and late season. 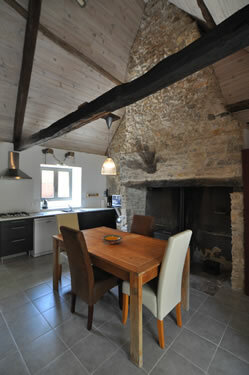 In the kitchen is a large antique fireplace with a wood-burning stove. 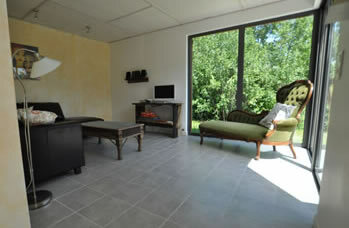 The sitting room has a corner sofa, which seats 5 and a comfortable chair, a stereo and a radio / TV with satellite receiver for free to air programmes. 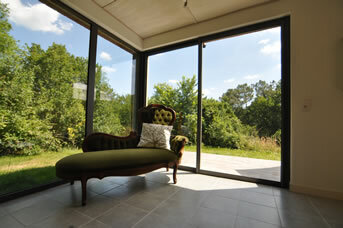 From the sitting room in the annexe you walk through the sliding glass door onto the terrace of your private garden. 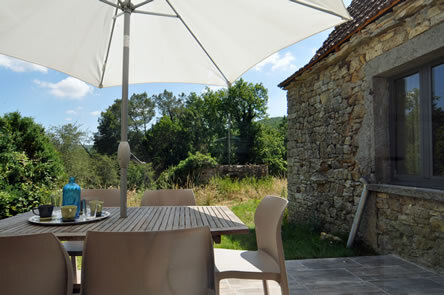 This garden is fenced, so it is safe for your children to play. 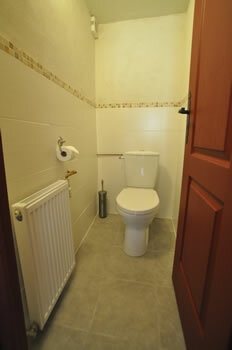 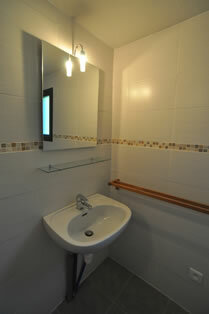 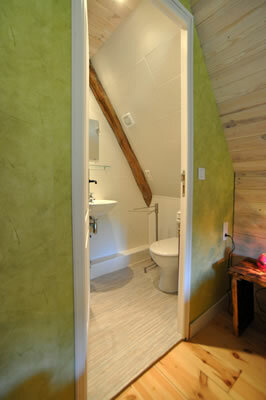 Downstairs are two bedrooms, a bathroom with shower and washbasin and a separate toilet. 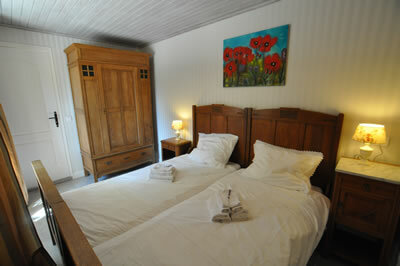 One room has a bed of 180 x 200 and the other room has two beds of 90 x 200. 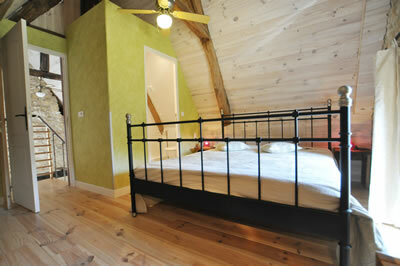 The staircase leads up to another bedroom with a bed of 160 x 200. 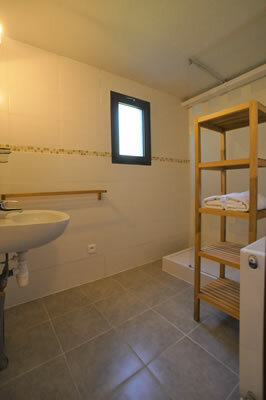 The private bathroom is equipped with a shower, toilet and sink.